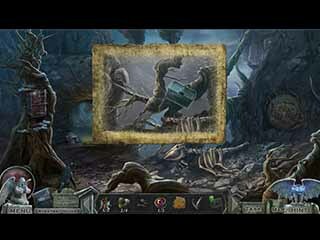 The Redemption Cemetery series is one of the most loved and popular series of the hidden object puzzle adventure genre. Their new release, Redemption Cemetery: One Foot in the Grave Collector's Edition has a new task for you and new stories and lives to live. If you are not familiar with the series, you need to know that the main idea of their every game is to help out those who did not get a chance to undo their evil actions while they were still alive. You usually meet them as spirits, learn their situation, and help them find their peace. But you don't do that just for fun, it is usually because you or someone you know is trapped and that's the only way out of it. The game offers a bonus game where you are to protect the citizens of the town from an evil spirit. The story of this game begins with a visit from your friend, Karen. She is your best journalist and she came in the middle of the night to tell you about a new story she is investigating and needs your help. Well, who can stay at home when there is a cemetery with a ghostly presence? Not you! Or Karen! Anyways, upon the arrival to the cemetery, Karen gets kidnapped and trapped. You are now the one to sort everything out and that includes meeting the Keeper of the Cemetery and a few more ghosts. The game offers a bonus game where you are to protect the citizens of the town from an evil spirit. You lost Karen but you get a helper, a raven (helpers are a controversial issue in the world of casual games, so I'll let you decide if it's a good or a bad thing). One of the fun (or maybe annoying for some) things in this game is that you constantly have to choose one of the options in the dialogues or actions of the characters. The game features three modes of difficulty, none of which make the game extremely challenging even with the adjustable skips and hints. The gameplay, in general, is very well balanced and ties together all kinds of activities. The hidden object scenes and puzzles are replayable. There are 12 achievements to earn and 100 collectibles to get based on your behavior. And you get all the media extras (wallpaper, concept art, music, and videos)! 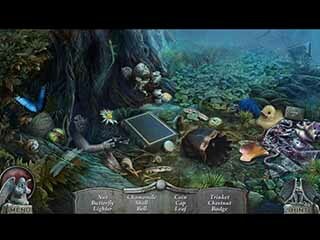 Check out this new hidden object puzzle adventure game from Amax Interactive to see if you want to have it to the end! This is Redemption Cemetery: One Foot in the Grave review. Download this game here.